Approved for two homesites. 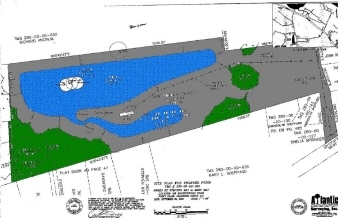 Property currently has two ponds with engineer rendered drawing to dig 4 acre pond. Potential for mining permit which is estimated to have between 75,000-100,000 yards of saleable fill dirt.